Name our Northern Fringe Festival mascot! Festival 2018 officially launches today! Biennial Percivals Portrait Prizes are here! Music in the City starts today! 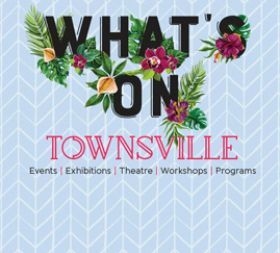 Townsville residents really love their Libraries! Queens Gardens alive with the sound of music! Second Welcoming Babies and Early Years Expo for 2018 being held this weekend! Game on for Retro Games Night! The ultimate Summer School Holiday Guide is available now!